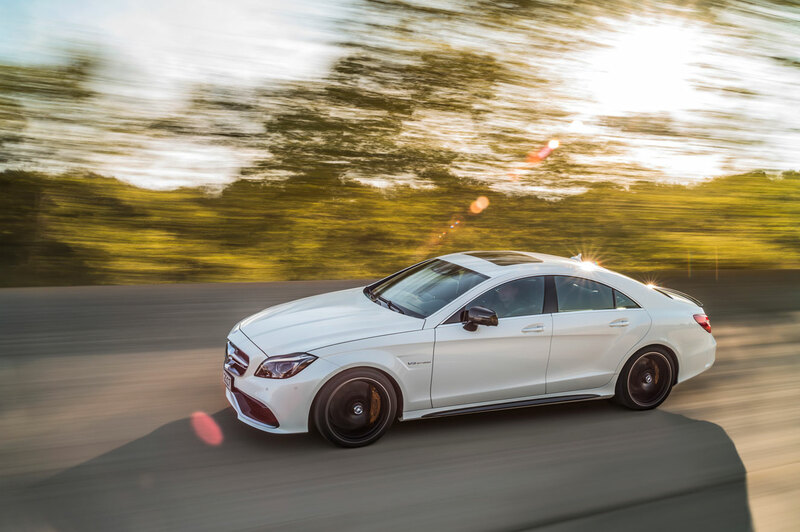 The stylish four-door CLS coupé from Mercedes-Benz celebrates its 10th anniversary with a freshening update and further enhanced LED headlamps management . 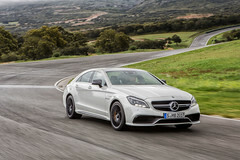 The announcement comes from the Stuttgart headquarter. Mercedes-Benz was indeed the first to market the four-door-coupe body style in the upper mid-size segment back in 2004, thus setting a very successful trend and its second generation, designed under the leadership of Gorden Wagener, was unveiled at the 2010 Paris Motor Show. 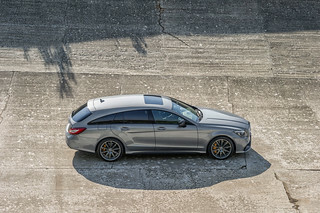 Two years later the range was expanded with the unique CLS Shooting Brake. 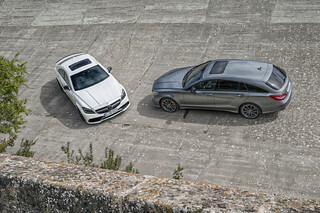 The two iconic Mercedes now feature a honed front section and upgraded interior enhancing contemporary luxury with a strong sport character, thus aiming at its strongest rivals: Audi for refinement and BMW for sportiness. 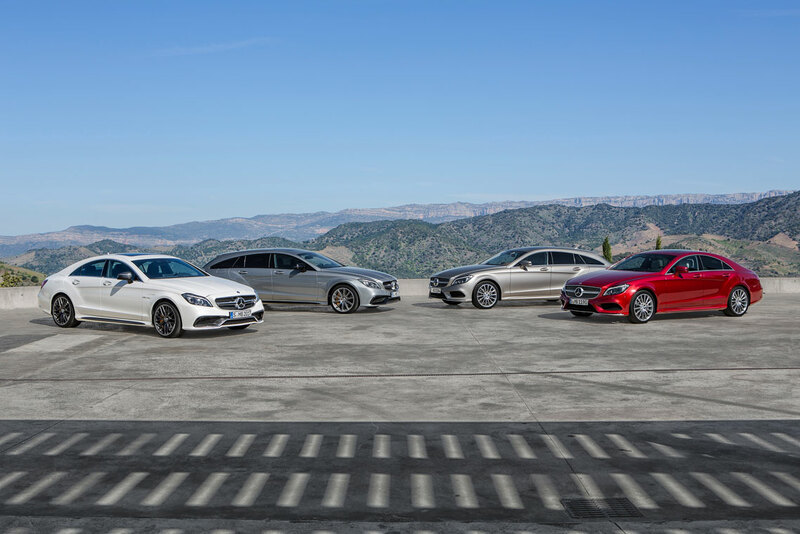 In the race towards new light technology Mercedes-Benz is rushing not to be beaten by the competition and is introducing, with the CLS, ground-breaking technical innovations with their Multibeam Led Headlapms management. 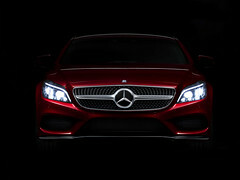 According to the carmaker this is a futuristic advancement that opens up new dimensions in lighting systems with high-performance, precision LED modules that actively and automatically provide the best possible illumination, whatever the road and traffic conditions. 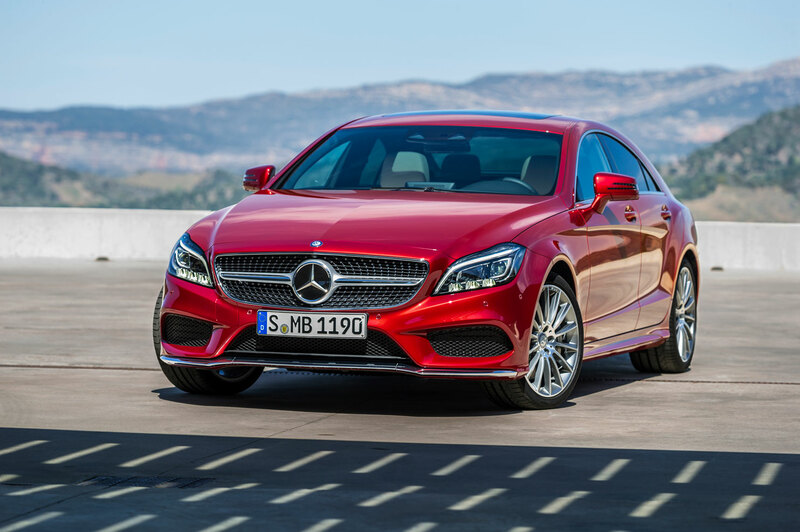 Both models now come as standard with all-LED headlamps in a new design. However, the new Multibeam Led Headlapms system is an option. Overall the design of the latest generation of the CLS Coupé and CLS Shooting Brake comes across as even more dynamic. This is thanks to a new, expressive diamond radiator grille, a striking front bumper with large air intakes, the new headlamps as well as new, slightly darkened tail lights with multi-level function. Sportier character for the interior. 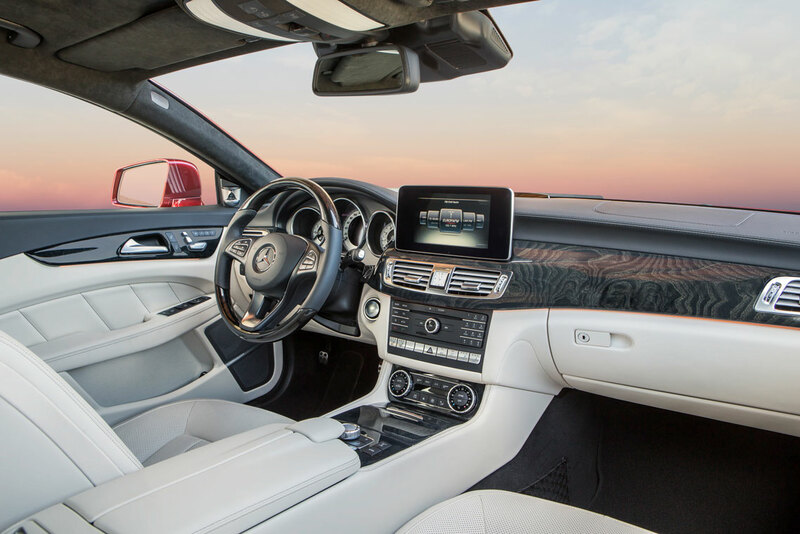 Inside the most notable improvement is the free-standing colour display in the head unit with its 20.3 cm screen diagonal (8 inch) that adds to the state-of-the-art feel and will help define the dashboard's contemporary looks. 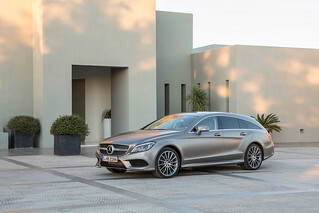 Other new features include a redesigned three-spoke sports steering wheel and refined detailing and the control panel in the centre console has four instead of the previous two buttons, thus requiring fewer operating steps in many cases. 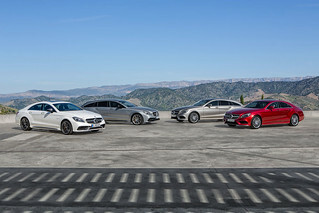 Updated Euro 6 power plants. 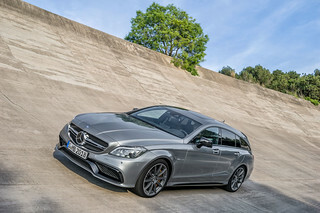 The German maker has further improved the range of powertrain with cutting-edge 9G-TRONIC, its 9-speed automatic transmission, and new, more powerful engines that needs less fuel . 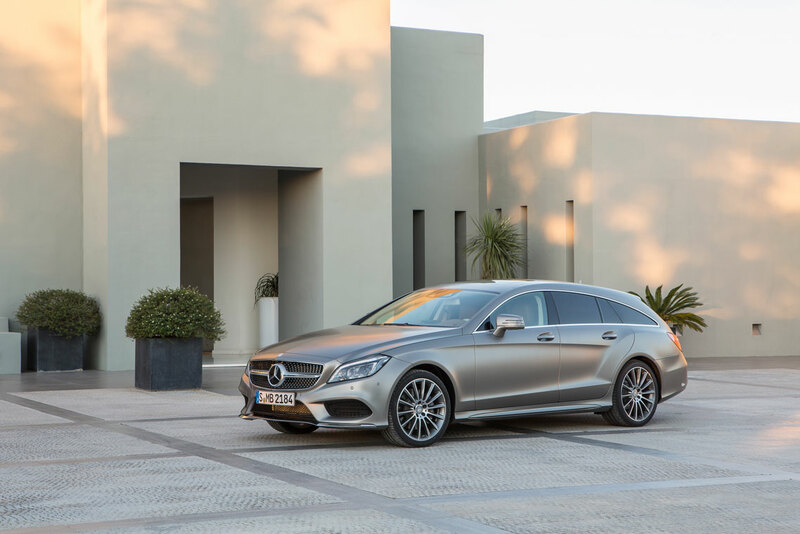 The range comes with five different engines that meet the Euro 6 standard. 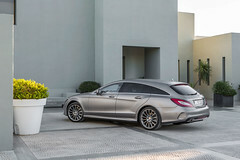 The new addition in this class is the ultra-low fuel consumption 125 kW (170 hp) CLS 220 BlueTEC with four-cylinder diesel engine featuring fourth-generation common rail direct injection, two-stage turbocharging and BlueTEC technology capable of a maximum torque of 400 Nm. 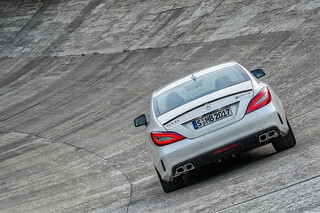 The four-cylinder diesel comes also in 150 kW (204 hp) and torque of 500 Nm tuning in the CLS 250 BlueTEC. 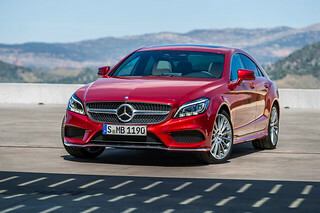 Next up the range is the V6 diesel unit in the CLS 350 BlueTEC with 190 kW (258 hp) and torque of 620 Nm. On its turn the 3.5 litre V6 petrol, biturbo engine of the CLS 400 is credited of 245 kW (333 hp). Its additional 110 Nm (with resect to its aspirated predecessor) enables it to top 480 Nm. For more power, before entering the AMG shopping list, Mercedes-Benz offers the CLS 500 with 300 kW (408 hp) and up to 600 Nm of torque. In a different class for performance are the AMG variants CLS 63 AMG Coupé and Shooting Brake delivering up to 430 kW (585 hp). New Ferrari California T for Geneva 2014.